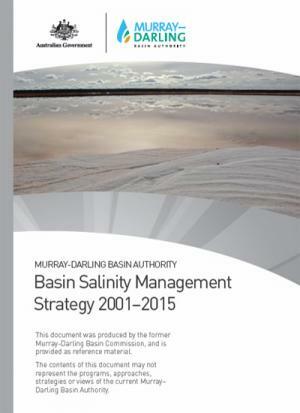 The Basin Salinity Management Strategy (BSMS) guides communities and all Australian governments in working together to control salinity and protecting key natural resource values within their catchments, consistent with the principles of the Integrated Catchment Management Policy Statement (ICM). It establishes targets for the river salinity of each tributary valley and the Murray-Darling system itself, that reflect the shared responsibility for action both between valley communities and between States. It provides a stable and accountable framework that, over time, will generate confidence in how we are tracking our joint efforts to manage salinity.